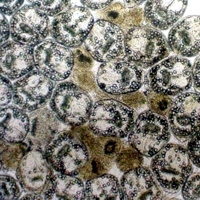 IMAGE: Chick B islets positive for ISL1, C-peptide and Glut 2. 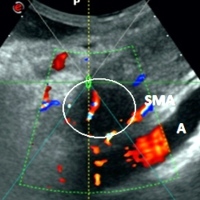 IMAGE: Hypo-echogenic tumor before HIFU ablation. 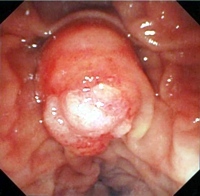 IMAGE: Intragastric fistula with pus exudate. IMAGE: Volcano plots of quantified, differentially expressed proteins in PanC1 cell lines. IMAGE: Asterixis in pancreatic encephalopathy (Videoclip). IMAGE: Cancer cell containing droplet from resected tissues. 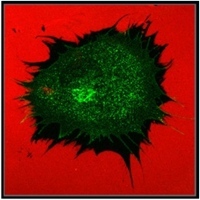 IMAGE: Detail of cell stress array membranes imaged using infrared dyes for S2VP10 cells. IMAGE: 18F-FDG PET shows increased uptake in a lesion in the head of the pancreas. 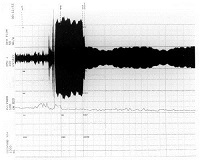 IMAGE: CECT showing a radio-opaque foreign body in the pancreatic head. 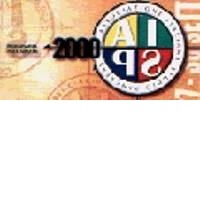 37th National Congress of the "Italian Association for the Study of the Pancreas" (AISP). IMAGE: Axial apparent diffusion coefficient (ADC) maps from diffusion weighted MR images at the level of the kidneys. 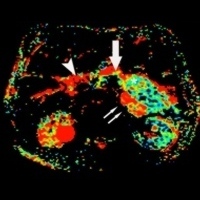 IMAGE: Positron emission tomography revealing a solitary liver metastasis in the right lobe of the liver. IMAGE: Apple-green birefringence under polarized light indicative of amyloid. 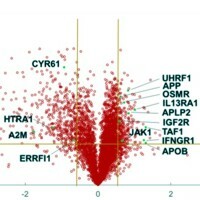 IMAGE: Principal component scores plot of urinary metabolic profiles. IMAGE: Peripheral blood smear suggestive of macrocytic anemia with thrombocytopenia and few plasmacytoid lymphocytes. 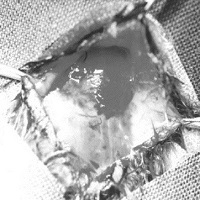 IMAGE: A fluoroscopic view of a over-the-scope clip. 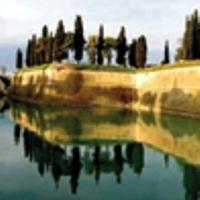 36th National Congress of the "Italian Association for the Study of the Pancreas" (AISP). IMAGE: Multiwell plates containing pancreatic cancer cells stained with crystal violet showing Ulster Newcastle disease virus cytotoxicity. IMAGE: Detail of treatment plan isodose distribution by proton beam therapy. 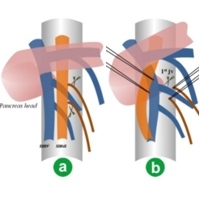 IMAGE: Four pancreatic duct stents and two resolution clips creating tamponade at the pancreatic duct orifice at the ampulla. 35th National Congress of the "Italian Association for the Study of the Pancreas" (AISP). 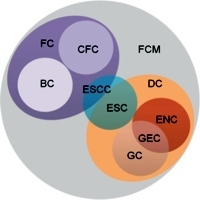 IMAGE: Scheme showing the overlapping terms of foregut cystic malformations. IMAGE: Technical illustration of the coronal plane. 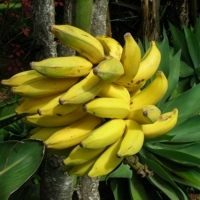 IMAGE: Reddish swollen papilla of Vater. 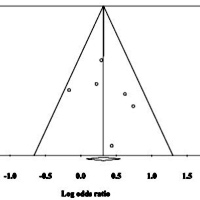 IMAGE: Funnel plot showing the possibility of publication bias in studies evaluating the association between Helicobacter pylori infection and pancreatic cancer. 34th National Congress of the "Italian Association for the Study of the Pancreas" (AISP). 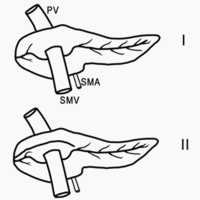 IMAGE: Detail of the schematic representation of the types of portal annular pancreas. 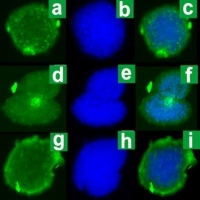 IMAGE: Matrix degradation by MT1-MMP (with permission of Yoshifumi Itoh, Lab Imperial College. London, UK). 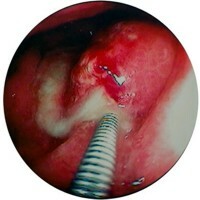 IMAGE: Capsule endoscopy: a pool of fresh blood in the proximal jejunum with no underlying ulcer. 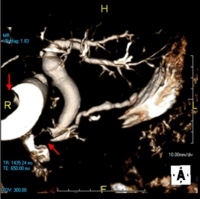 IMAGE: 3D MRCP reconstruction demonstrates a 2.5x2.0 cm ampullary versus duodenal carcinoma with obstruction of the ampulla of Vater. 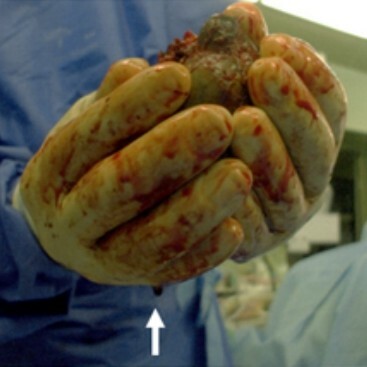 IMAGE: Panoramic view of subcutaneously implanted hamster after resection. 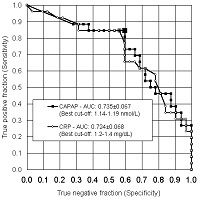 IMAGE: ROC curves of serum CAPAP and CRP in discriminating between patients with severe and mild acute pancreatitis. 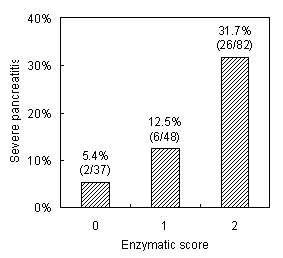 IMAGE: Frequency of severe pancreatitis according to the enzymatic score. 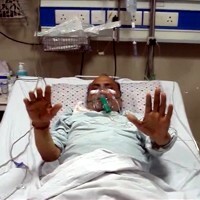 IMAGE: Voiding in a not "relaxed manner" with evidence of pseudodyssynergia.